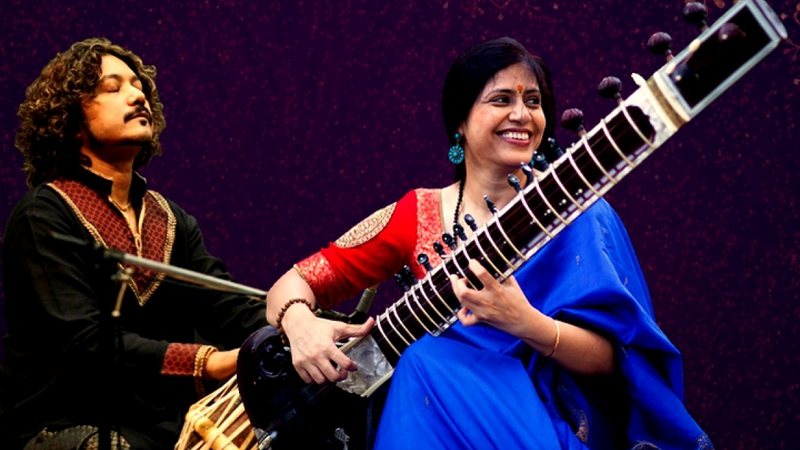 Anupama Bhagwat, sitar musician nonpareil, has carved a niche in Indian Classical Music with a versatile & eclectic style. Acclaimed world-wide with a repertoire of global performances since 1995, her sensitivity and erudition has taken her to the highest echelons of the modern genre. One of the leading disciples of Pandit Shri Bimalendu Mukherjee, doyen of the Imdadkhani Gharana, Anupama’s style is characterized by scintillating taans, mastery of the meditative alaap, and brilliant fluency of melody (raaga-bhava), while remaining true to tradition. Anupama has been conferred the title Surmani, by Sur Sringar Sansad, Bombay (1995). Anupama’s repertoire of performances world-wide span major universities and conservatories, notably: SouthBank Center (London, UK), Ali Akbar Khan School of Music (Basel, Switzerland), MIT Fall Concert Series (Boston, USA), U Penn, Berkeley, Ole Miss (USA), Asian Arts Museum (San Francisco), University of Victoria, University of Calgary, Musée Guimet (Paris), Musée des Beaux-Arts (Angers, France). Anupama has been lauded by the connoisseurs in India for her performances at prestigious festivals and venues such as: Doverlane Music Conference (Kolkata), Ustad Amir Khan Smriti Samaroh (Indore), Saptak (Ahmedabad), Sankat Mochan Samaroh (Varanasi), Sangeet Research Academy (Kolkata), Baba HarBallabh Samaroh (Jalandhar), KM Conservatory (Chennai) and more. The excellent tabla player Subhajyoti Guha comes from an Indian musical family where he started learning tabla at the age of five. The tabla is a North Indian percussion instrument consisting of a pair of drums. 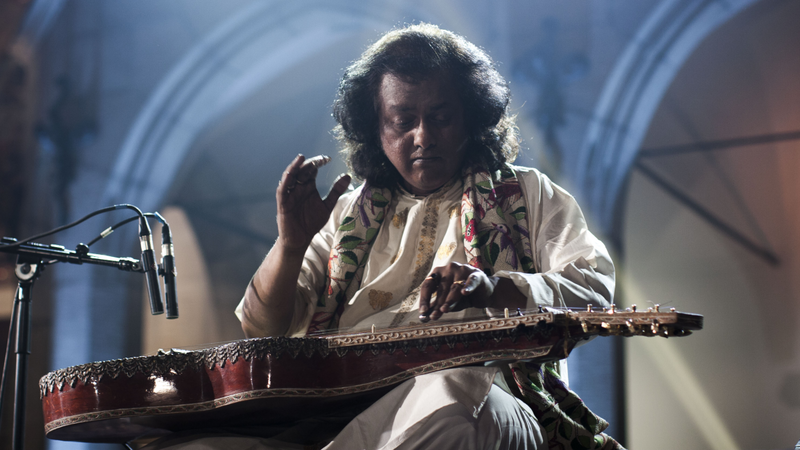 Having had several masters of music, he is now a disciple of Pandit Sankha Chatterjee. 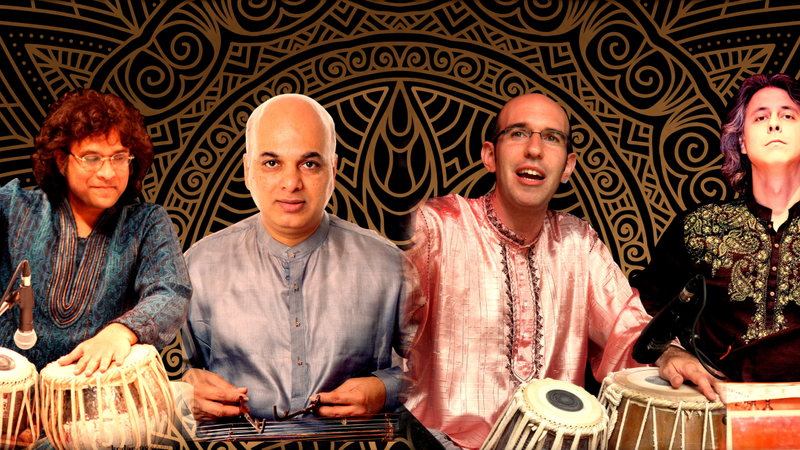 Recipient of several important prizes, in addition to performing in prestigious concerts and shows, Subhajyoti Guha has also expanded his horizons by exploring experimental music and other genres with his Toronto-based AMEYA group.